This week: more cyber committees at the United Nations, data localization in Vietnam, and China's World Internet Conference. 1. Now with two times more cyber! The United Nations is set to double its workload on cyberspace over the next few years. The General Assembly's first committee approved two cyber-related resolutions. The first, sponsored by the United States, creates a new Group of Governmental Experts (GGE) to study how international law applies to state action in cyberspace and identify ways to promote compliance with existing cyber norms. 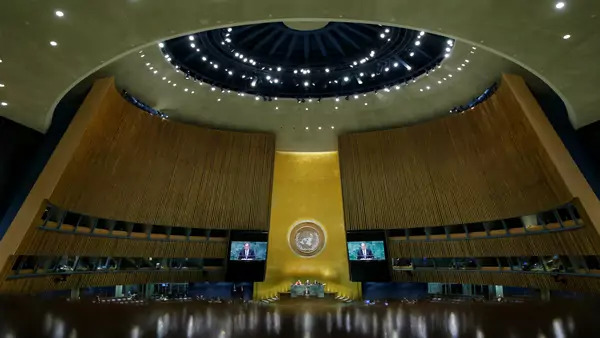 The second, sponsored by Russia, creates an open-ended working group of the General Assembly to study the existing norms contained in the previous UN GGE reports, identify new norms, and study the possibility of "establishing regular institutional dialogue ... under the auspices of the United Nations." Both groups are expected to deliver consensus reports over the next two to three years, although whether they can pull it off is harder to predict. The last GGE in 2016-17 did not produce a report over a disagreement about the applicability of international humanitarian law to cyberspace, and getting consensus among the 193 member states of the United Nations, as the Russian resolution requires, is a Herculean task. Maybe both groups will be able to find common ground in a set of norms the Global Commission on the Stability of Cyberspace released this week. 2. One step closer to data localization. Vietnam’s Ministry of Public Security published draft guidelines to implement a controversial cybersecurity law requiring tech platforms and online service companies to open local offices and store the data of Vietnamese users within the country. The stored data, which would be archived for at least thirty-six months, would include such details such as national identification numbers, biometric data, and medical records. The draft also criminalizes the use of social networks to launch network attacks, instigate other users against the state, and spread disinformation. The cybersecurity law, which passed in June, has been met with widespread backlash by technology firms, who say that it would hurt innovation and investment in the country. Rights groups and U.S. lawmakers have also expressed concern that it would allow “communist authorities to access private data, spy on users, and further restrict the limited online speech freedoms enjoyed by Vietnamese citizens.” The draft guidelines, which are open for comment for two months, is indicative of the growing movement towards data localization laws around the globe, as well as the crackdown within Vietnam on “wrongful views” expressed on the internet. 3. We had a party and nobody came. China held its annual World Internet Conference this week. Once a signal of China’s ambitions shape the international conversation on internet governance and promote its cyber sovereignty agenda, this year's edition largely fell flat. President Xi Jinping and other senior Communist Party officials were absent from the event, with Huang Kunming, head of the Party’s Propaganda Department, delivering remarks on Xi's behalf. Also conspicuously missing, amid growing tensions between Silicon Valley and China over Chinese intellectual property theft and an ongoing trade war, were heads from major U.S. technology companies. In contrast, both Apple CEO Tim Cook and Alphabet CEO Sundar Pichai spoke at last year’s edition. As with past events, the event highlighted innovations of Chinese companies to underscore China’s position as a "technological superpower." Over at New America, Paul Triolo argues that the World Internet Conference is a better indicator of Chinese priorities than any real effort at international cooperation on cyber issues.